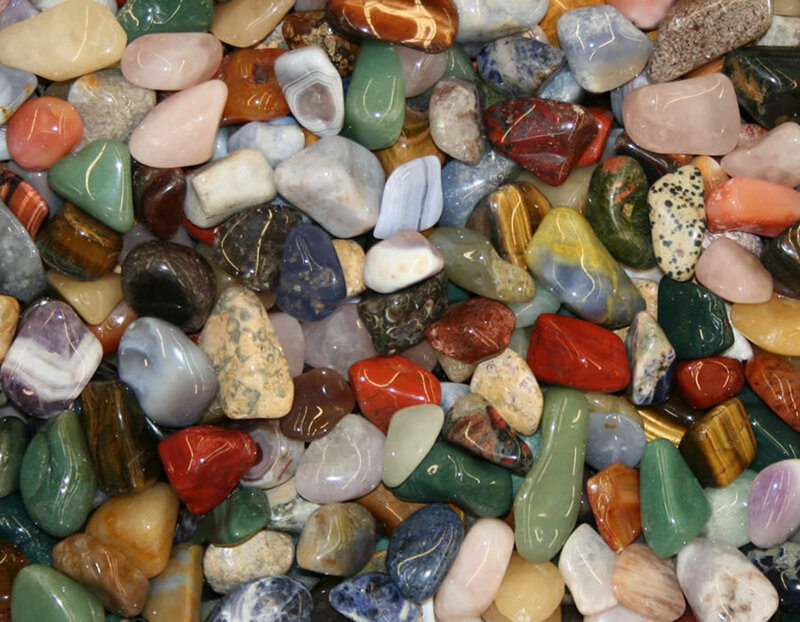 Tumbled Stones: Colorful and beautifully polished. Lots of people love tumbled stones. 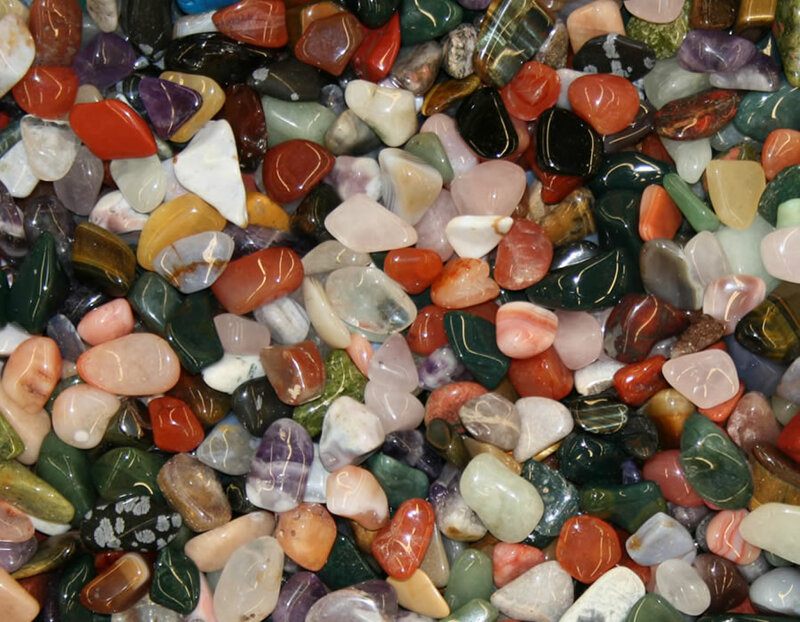 A bag of tumbled stones is like a colorful mineral collection or rock collection. 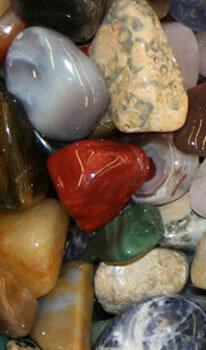 A three pound bag of our tumbled stones usually contains a number of different materials. 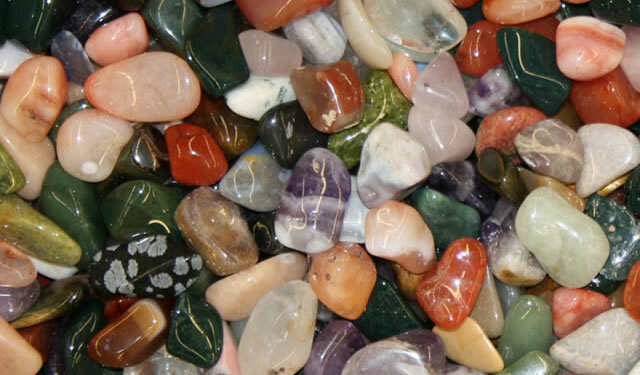 You could find rose quartz, amethyst, snowflake obsidian, red jasper, carnelian agate, green aventurine, tiger's-eye, tree agate, unakite, banded agate, picture jasper and many other materials. These mixtures do not contain dyed stones. Size Range: 1 1/8" to 2"
Natural beauty is what you will find in this mixture of extra large polished stones. None of these stones have been dyed. Use them as accents in potted plants, as colorful additions to a fishbowl, scatter a few in your garden. Most of the stones in this mix have a maximum diameter between 1 1/8 inch and 2 inches (28 to 50 millimeters). They are sized by machine so a wider range of sizes should be expected. 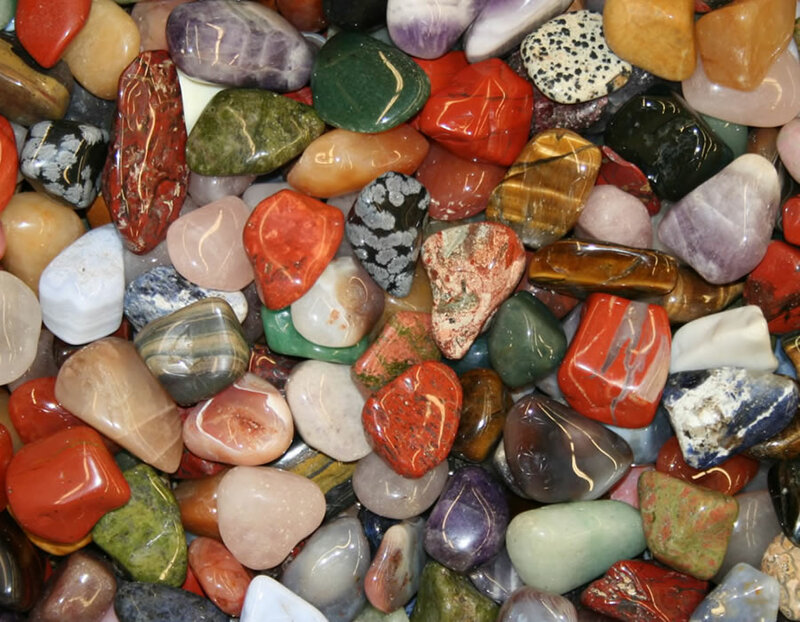 One pound contains between 18 and 25 beautiful stones. Great for craft projects. Size Range: 7/8" to 1 3/8"
Amazing natural colors. That is what you will get in our mixtures of large natural stones. None of the stones in this mix are dyed. These stones make great rewards for excellent students or dangles on a keychain. Fill a jar with them and display them on a shelf. Most of the stones in this mix have a maximum diameter between 7/8" and 1 3/8" (22 to 34 millimeters). They are sized by machine so a wider range of sizes should be expected. One pound contains between 35 and 50 beautiful stones. Size Range: 5/8" to 1"
This is the most popular size that we sell. They are great for game pieces, counting practice and craft projects. 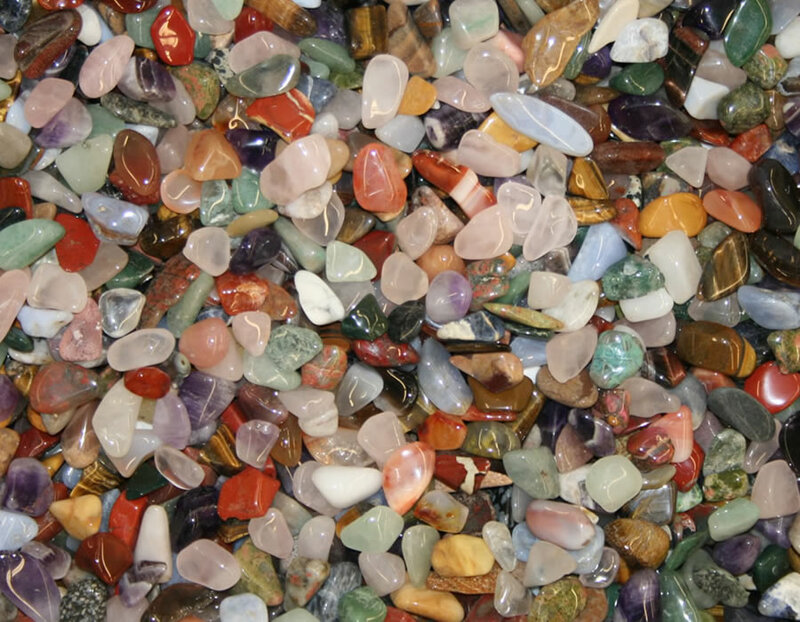 Every stone in this mix has a natural color - none of them have been dyed. 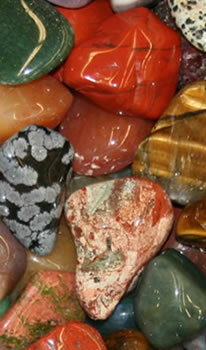 They can be great additions to rock and mineral collections. Most of the stones in this mix have a maximum diameter between 5/8" and 1" (15 to 25 millimeters). They are sized by machine so a wider range of sizes should be expected. One pound contains between 70 and 110 beautiful stones. They are perfect for a wide range of craft and decorating projects. Size Range: 1/2" to 3/4"
Small stones make a great ground cover in potted plants, use them in vases to weight the bottom and to hold flower stems in place. They look great in aquariums too! 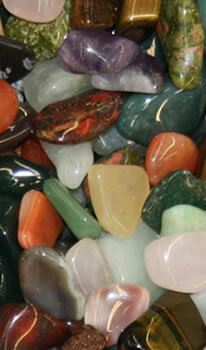 These small polished stones all have a natural color. None of them have been dyed. 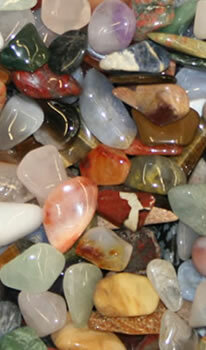 Most of the stones in this mix have a maximum diameter between 1/2" and 3/4" (12 to 19 millimeters). They are sized by machine so a wider range of sizes should be expected. One pound contains between 180 and 250 highly polished stones.